Biogas International Ltd – BIL, would like to expand its portfolio, but always economics must make sense. So we have developed a waste management system that does not require a lot of partner investment. 1. The waste pilling up in dumps not only pollutes the air, rivers and underground aquifers, it also costs a few billion shillings every year to move garbage from source to the landfill. 2. To compound matters, the charcoal being used by the millions of dwellings in low income areas and slums around every city and town, is burning down our forests at a non recoverable rate. Sahara desert is knocking at our doorstep. 3. Cancer and the chemicals used in our food production ….. you can Google the rest. 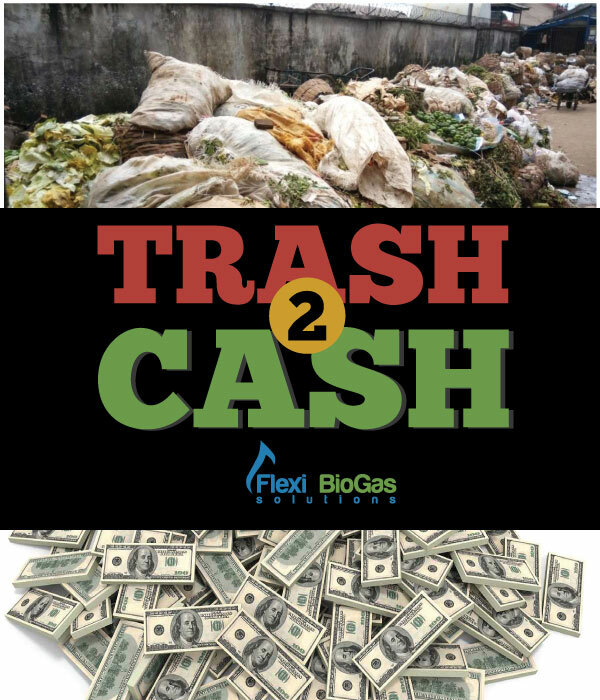 At Biogas International Ltd – BIL, we have developed a 1 Stop Urban Waste Management Solution that also produces huge amounts of biogas to replace the charcoal, and tons of organic fertiliser that in turn will produce healthy food. When sprayed on as a foliar feed, the bioslurry also doubles as an extremely effective pest repellent on crops. It’s really quite simple.Instead of trucking tons of organic waste from estates and market places all the way across town to a city dumps and landfills, we’re looking at setting up our T-Rex digesters in the middle of the dwellings and market places where the “waste” is generated. 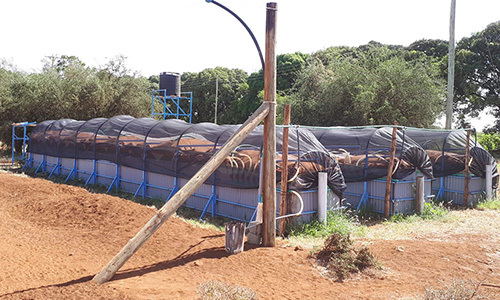 We will feed all the organic waste to the digester plant, and pipe the gas directly into peoples kitchens and communal cooking areas via mini-grid networks. Meter billing or other billing methodologies will be developed. 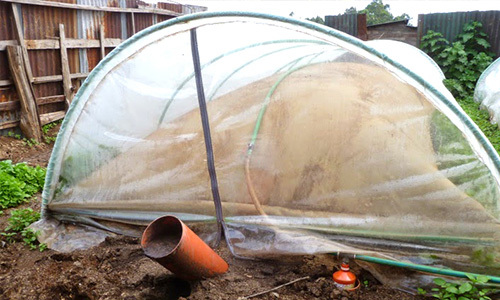 A second income stream will be through the sale of fertilizer. There is no shortage of farmers looking for cheaper quality inputs. Each plant will recruit local youths to sort garbage and separate the plastic, glass, metal and paper, which will be sold to recycling plants. _(Training will be conducted by BIL). So in effect, the landfills will become a thing of the past. 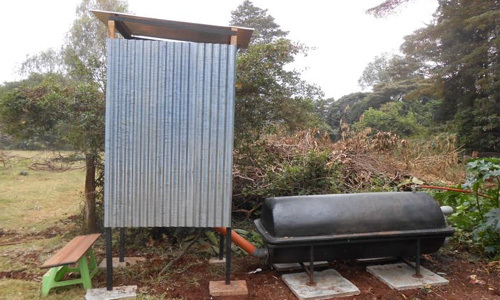 We have also developed a very hygienic public toilet system that also produces biogas. Bioslurry from these plants is channeled at fruit tree planting programs. The Pay As You Go – PAYG model can be applied here. The sustainability factor of the model is profits, and set up as a social enterprise. We’re looking at each plant having individual investment partners. Like you maybe. 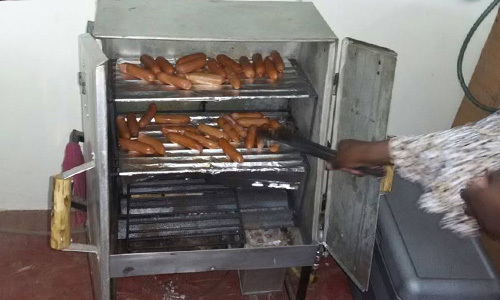 We’ll also probably need to partner with county government offices for licencing and land space to install the units. Revenue share will be with investment partners. Our T-Rex digesters are prefabricated and modular allowing for upgrading or renovation. 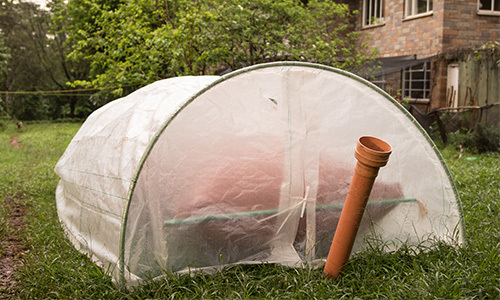 Installation is only a couple of days for smaller plants, and a week or 2 for sizable plants. BIL will provide the technology, maintenance, training for plant sustainability. The partner suggests the location, coordination with council where applicable and provides financial investment against equity share. Revenue share will be as per investment equity, and paid out after salaries and overheads are deducted. 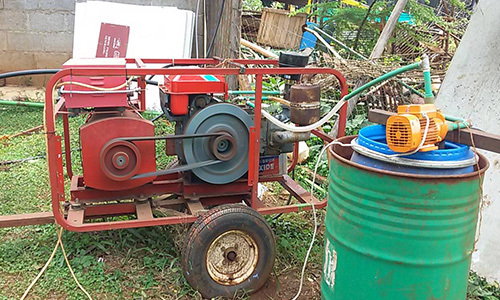 We’re looking for partners to setup the Biogas plants in estates, slums, and anywhere there are waste management issues. Partners equity will be in the region of 50%. Small to medium plants that will process 1.5 tons per day and serve gas to approximately 60 – 80 homesteads will be in the region of USD. 30 – 40k. Sale of gas estimated at USD 900 – 1K per month. Assuming net profit of $ 2k per month, returm on investment in only 20 months.